Just a note wishing all of you the happiest of new years. May 2010 be productive and profitable for us all. Get Merriton finished and sent to a printer so people can buy hard copies or read them on ebook readers. Never let Steampunk Stories go dark each week. Lose 40 pounds or more so that I’m healthy and strong. Have a twenty year anniversary party with Michael celebrating our marriage together. 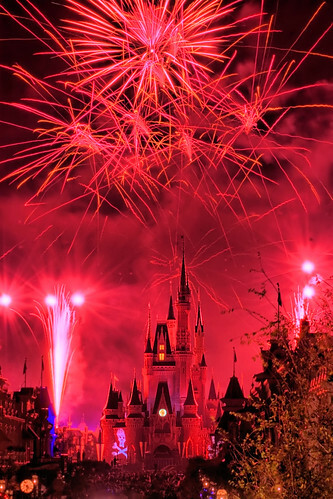 Go to Disneyland again sometime this year and see the fireworks over the castle (pictured here) again. May this and much more happen this year, and a wish that all of your New Year’s Resolutions come true as well. I’ve been unpacking more boxes and I found this book, Rock Video Superstars. As you can see, I bought it for two bucks in a discount rack back then. You can’t tell from the photo, but this book is HUGE. It’s 11″ X 17″ and spiral bound. It has been in a box for over twenty years because it just doesn’t fit on any bookcase shelf. I unpacked an entire box of books in awkward sizes. They are lining the top of my bookshelves now. Michael is wandering through an imaginary city, troubled by the rumors that swirl around him and shadowed by a trench-coated stranger, who represents a prying press and public. No matter how hard the stranger tries to trap Michael, he can’t be dragged down. 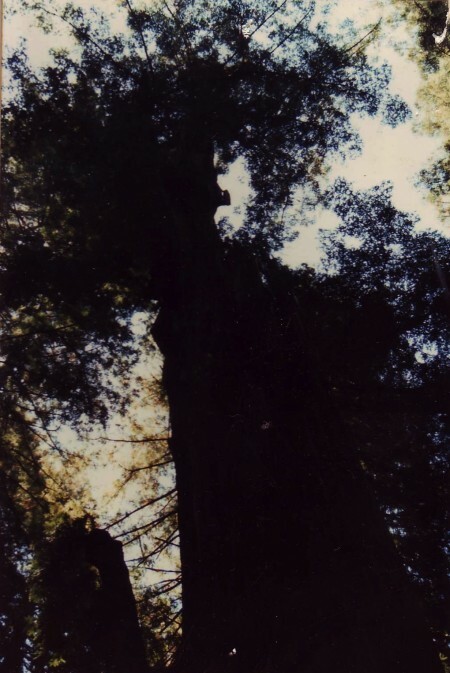 For example, when the stranger tried to grab Michael and the Polaroid camera goes off, not only does Michael disappear from the scene but even the camera can’t capture him; only the stranger is in the resulting photograph. The sidewalk panels light up as Michael’s feet touch them, and his dance moves are so sudden, so unpredictable that it looks like director Barron would have like him to try to stay on a single square so the man working the lights would have a fighting chance to keep up. 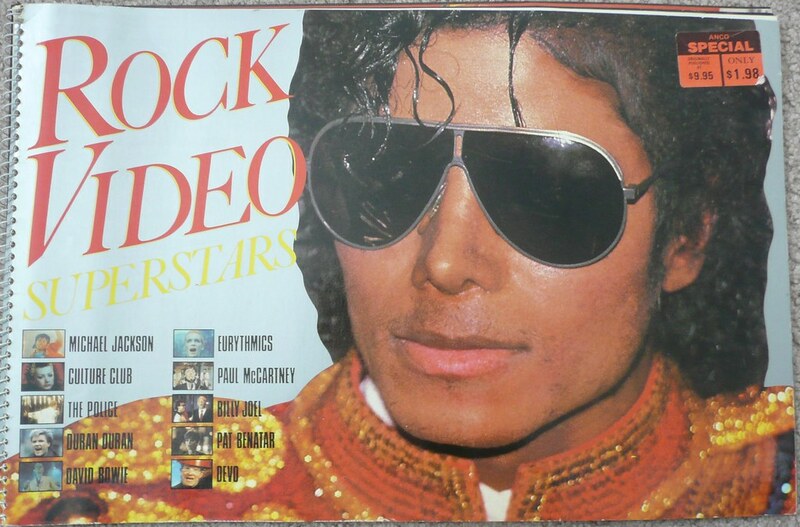 I had seen the Michael Jackson videos on Solid Gold, but for a kid without MTV, this book was a godsend, telling me about videos that I couldn’t see. I remember reading the description for the video for “Karma Chameleon” and wishing that I could watch it on MTV. Years later, when I finally DID see the video, it wasn’t nearly as good as my imagination had made it out to be. Based on the description and the lone picture, it was an epic. In the end, it was just a music video. Every once and a while, I would type the name of the album into Amazon’s search. Back in November of 2008, I got a hit. 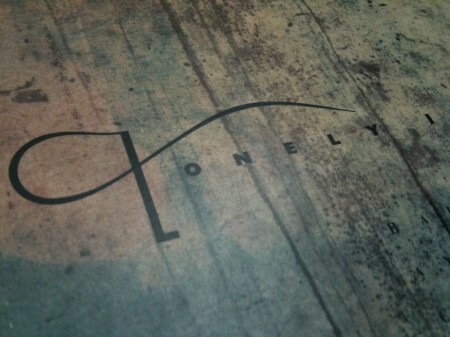 Lonely Is An Eyesore was FINALLY available as an MP3 download. It was an album that I obsessed over the first year out of high school (1987-1988). The videos were shown on MTV’s 120 Minutes EVERY Sunday night. They didn’t play these songs at The Ritz. They were too far from the dance and gothic beat that they played at The Ritz. I didn’t care. All the songs were SO COOL! I bought the album from Sound Off, a record store on 700 East and 2100 South. It was rare that they carried anything that cool there, so I ordered it from them and awaited their call when it finally came in. I played the record ONCE to record it onto cassette tape. Over twenty years later, I emptied a box and found the album in there, just a beautiful as it was years ago. 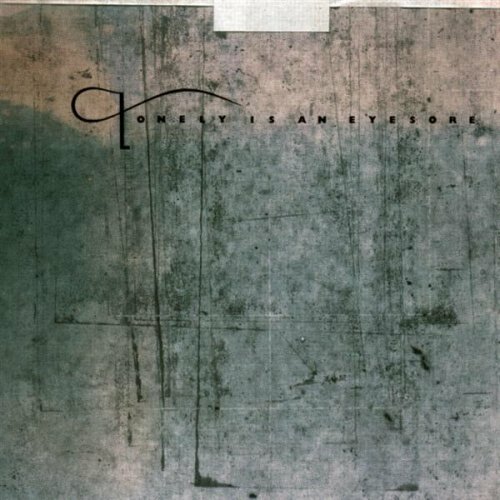 The title of the album, Lonely Is An Eyesore, is a line from a song on the album by Throwing Muses. Each song had a video and you can see them all on YouTube. Here is a playlist, showing them all in the order that the songs appeared on the album. It’s funny when one album can personify one time in my life so perfectly, but Lonely Is An Eyesore was one of those albums. 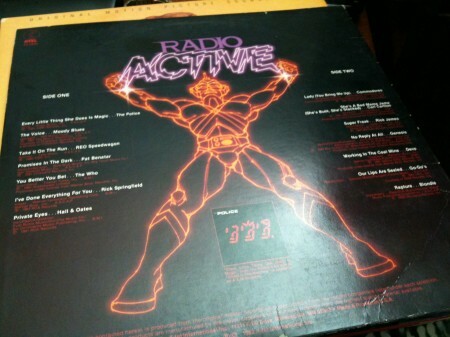 While unpacking my old records, I also came across Radio Active by K-Tel. It’s copyright 1982. This album isn’t available as an MP3 download, but all the songs are available separately. I was surprised how many of the songs I didn’t have in my collection. Here is an Amazon widget with clips from all the songs from the album. I loved that album. My mom bought it for me in seventh grade for Christmas. 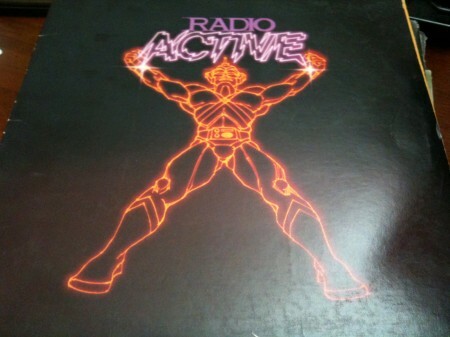 I remember asking for it by saying that I wanted the record with the commercial with the robot on TV where he squats down with his hands and when he opens his hands it’s the name of the record. The robot guy would be one the cover. My poor mom had NO IDEA what I was talking about. She ended up taking me to the record store in Valley Fair Mall to see if they knew what I was talking about. There was a cool guy there who knew just what I was trying to describe and immediately found the album. In retrospect, I’m so grateful to that record store guy for not rolling his eyes and calling me a poseur for wanting such a mainstream album. 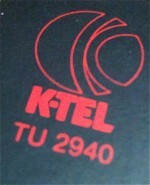 K-Tel albums were the Now That’s What I Call Music of the Eighties. The fact that I couldn’t tell him even one song that was on the album, all I knew is I wanted the record with the robot guy from TV. If he had been Jack Black, that guy would have had me running out of the record store crying. Instead, he smiled at me and nodded. He knew EXACTLY which album I meant and walked us over the the end cap where it was. I remember thinking he was CGA (Cute Guy Alert). He was probably a high school guy who loved music and the thought of a K-Tel album made his stomach turn, but he never let me notice that he thought I was just a stupid kid. I remember Dylan looking at my old records. 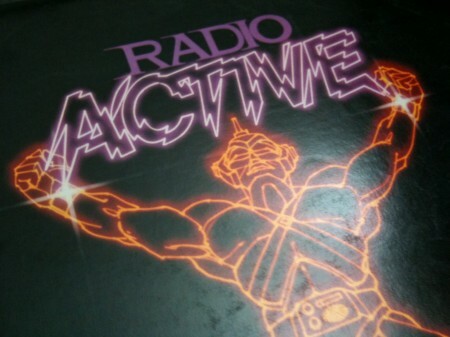 He held my beloved Radio Active in his hands. By this time, we were in high school and I realized that K-Tel albums were lame, but that didn’t stop me from loving my old record. He looked at the song list and was impressed with the songs by The Who, The Police and Devo. I breathed a sigh of relief at his approval. We put the record on my turntable and sang along to “You Better You Bet.” Okay, that’s a lie. I sang along and Dylan just listened and told me that I really needed more Who albums. 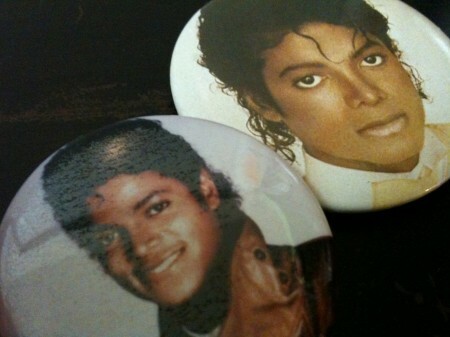 I’m still unpacking boxes and I found these Michael Jackson buttons in the bottom of one. I remember watching Solid Gold one Saturday night and they showed the video for Billie Jean by Michael Jackson. The next Monday, I told all my friends in Mixed Choir that I was in love with Michael Jackson. They all rolled their eyes and two weeks later, Miss Andy brought in Billie Jean on 45 with the lyrics for all of us to sing along. 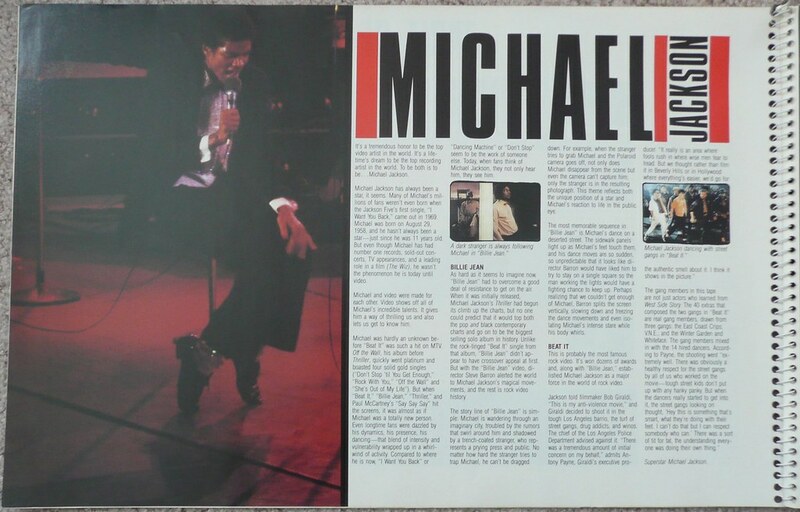 Two months later, EVERYONE was in love with Michael Jackson and I got to the be the one who liked him first. I wore these pins on my clothes EVERY day for the entire year of 1984. By the time I got to high school, Michael Jackson wasn’t cool anymore and I had decided that I was New Wave, so these pins were relegated to a box somewhere until they were unearthed last week. I know this sounds horrible, but I kind of wish he had died before we found out about his “issues.” I wish I could remember him like the media remembers him now and forget about all the allegations and the weirdness. I wish he had recorded “Man in the Mirror” and then died tragically in a car accident or plane wreck. Then I could fondly remember when I loved Michael Jackson. 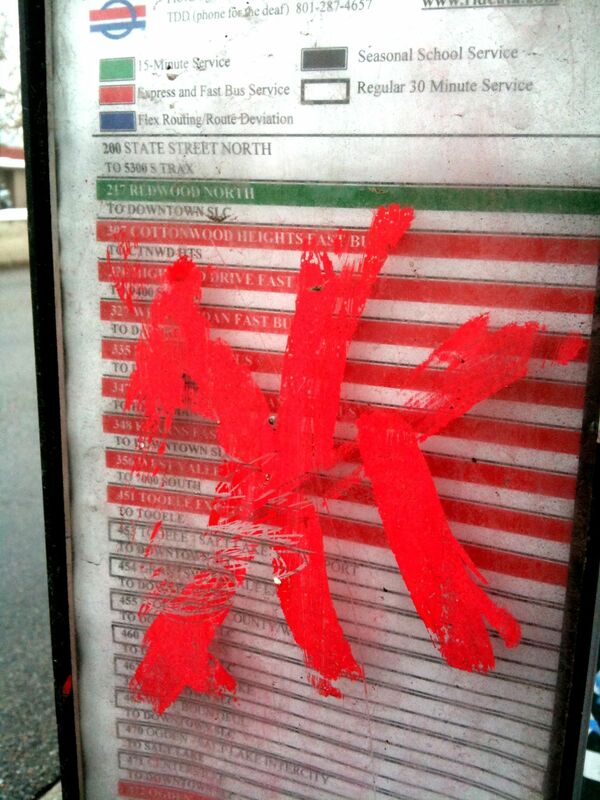 Your initials are not interesting enough to deem worthy to block the bus schedule. You give graffiti a bad name and there is a special hell for you. P.S. I was really cold waiting for the bus when I wrote this. Don’t you have something better to do than make my life even MORE difficult?! A couple of weeks ago, PostSecret had this card and it sounded so familiar. and sometimes I can’t bear seeing the photos that have been left behind & not take them home where they can be appreciated. 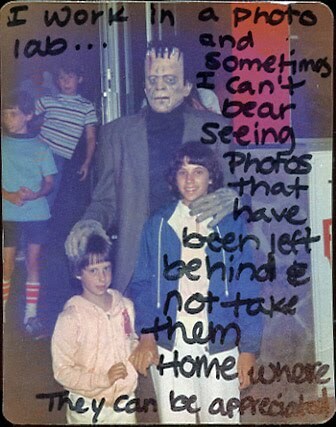 At that time, K-mart would let you get a refund for whatever pictures you didn’t like, no questions asked. Not very many people would refund their pictures, but a few people took advantage of this program. As the recipient of these poor, rejected pictures, I always felt a sadness for them. Since we were instructed to just throw the pictures away, I would take my favorites of the discarded home. Back then, I didn’t really have the capabilities to add photos to my blog posts, but now, I can show you the photos I was talking about. Click on the photos to embiggen. I found this on Flickr a couple of weeks ago. It was a toy that my mom bought for me when I was in sixth grade. It was called Fashion Art Center and I played the HECK out of it. I used up all the paint (did anyone else use up all the watercolor paint, ever?). The markers ran dry and all that was left were the stubs of the colored pencils in the end. 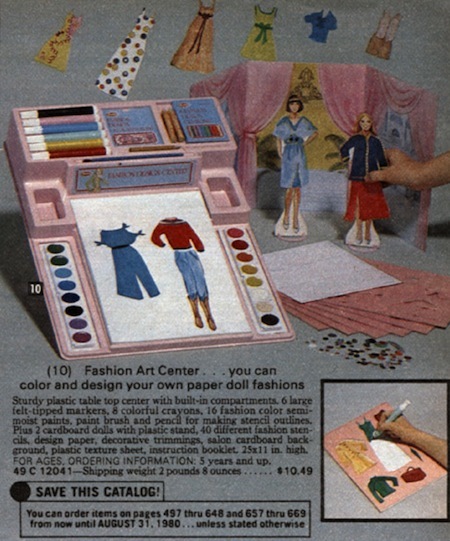 The only problem that I had was the patterns that you could outline didn’t have tabs on them so that the clothes would stay on the dolls like proper paper doll clothing should. I learned how to add my own tabs soon enough, but my twelve year old brain just couldn’t comprehend an adult making a toy without including the paper clothing tabs. I have no idea what happened to that toy, but I got MUCH more out of it than the ten bucks my mom spent. Can we just have a moment of quiet contemplative thought for Lady Gaga? Here was a performance from last year. She was rockin’ the stage with live performances when everyone else thought she was just another auto-tune babe. Not since Pete Burns of Dead or Alive have there been such a fashion diva as Lady Gaga. She even gives Glam David Bowie a run for his money. This is what she wore on ONE night. While that video seems to make fun of her, the rest of us are loving her! Can I have that moment now? No? How about some articulate interviews? How about how she views Pop Music and how it differs from others’ views of it. Here, she deals with the ever-irritating Kathy Lee Gifford. How about dealing with the rumors that she is man? She gracefully explains Poker Face’ “bluffin’ with my muffin” line. Or her heartbreaking story behind Speechless? I found out about Lady Gaga a little late in the game (about May of last year), but I have been so grateful for her last two albums. Thank you, Lady Gaga! You’re AWESOME! 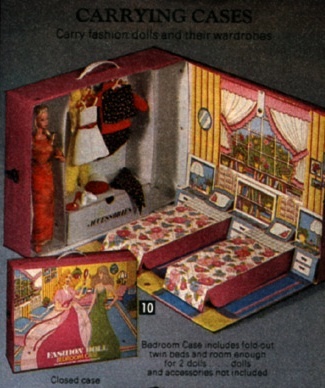 Fashion Doll Bedroom Case: Barbie Loves It! The catalog doesn’t show it in this position. The whole thing folds up pretty flat. 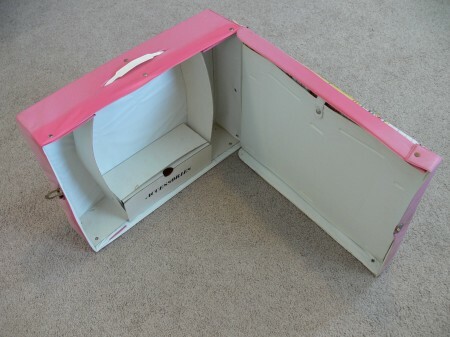 When you unsnap the latch, the bedroom furniture folds down and you have an instant play house. 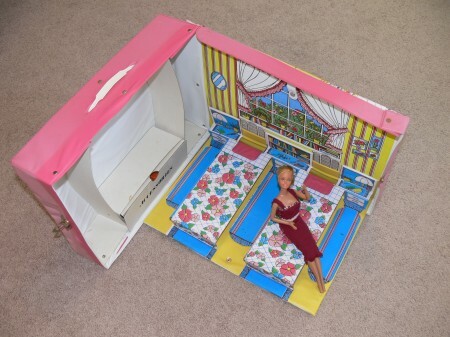 Here is what it looks with Barbie sitting on one of the beds. Here is Barbie and her home from another angle. That outfit was sewn by me when I was just ten years old. The stitches look so clumsy to me now, but at the same time, I’m really proud of my design abilities back then. 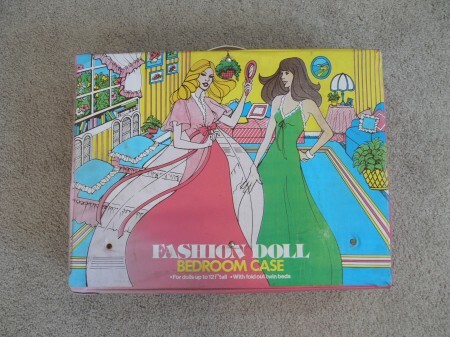 I absolutely loved this doll case because I could take it with me to a friend’s house and we would instantly have a “house” to play with. It was a great toy and it has lasted FORTY years without breaking or even showing a lot of wear. 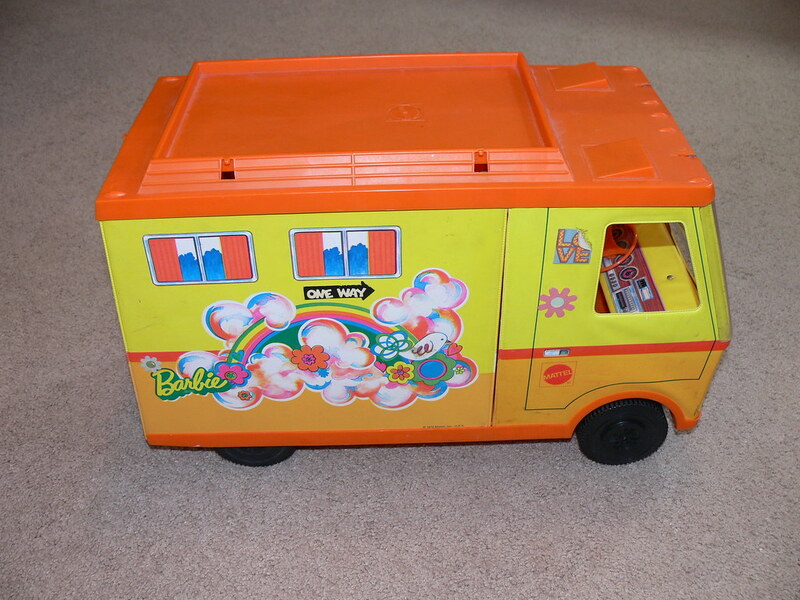 God, I loved this toy! Poor Jaclyn Smith. Her hair has been brushed so many times that it is a matted mess. 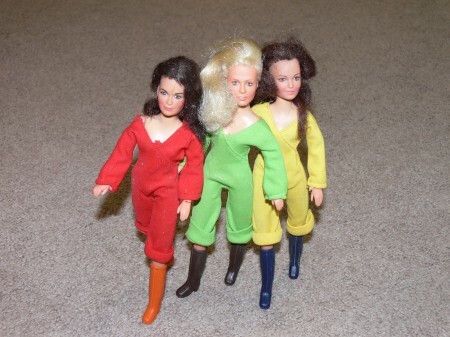 I loved Charlie’s Angels when I was a kid, so of course, I had all three dolls. When I was rummaging through my Barbies, I found Jaclyn in this hand sewn outfit that I had made for her. 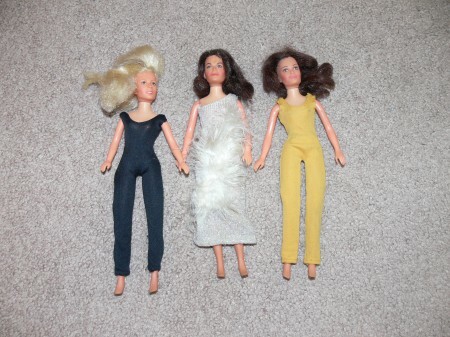 It was difficult to find clothes in the stores for the Charlie’s Angels Dolls when I was a kid and Barbie’s clothes didn’t fit her, so she ended up in my wretched designs. Fortunately, I found her correct outfit along with her partners in dectective-ness. Here is a closeup of their faces. I found some other outfits for them. Here they are in some catsuits and a fluffy number that sheds white feathers everywhere. Here is a closeup of Jaclyn Smith. Here is a closeup of Cheryl Ladd. 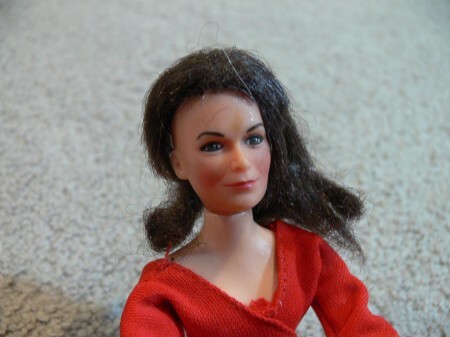 Here is a closeup of Kate Jackson. She was my favorite Angel, as you can see by the haircut I’ve given her. Their scarves are long gone, but they still look pretty good. 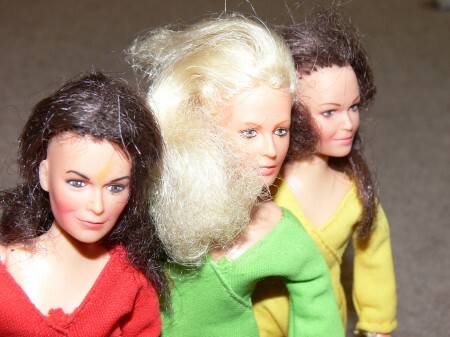 Stacey and I played with these dolls so much. 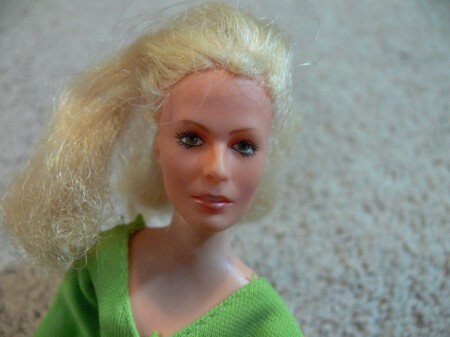 Technically, I think the Cheryl Ladd doll is hers, but I’m glad she ended up with my toys because she didn’t get separated from the other Angels. 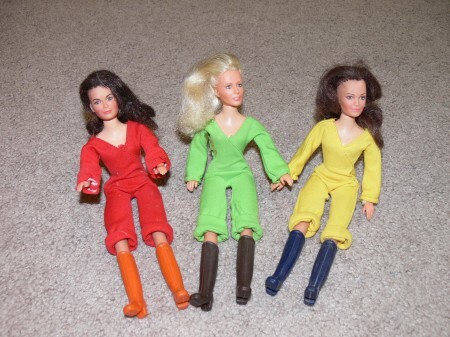 I spent a few hours yesterday just going through the Barbies and their clothes in order to find all of the correct outfits for these Charlie’s Angels Dolls. 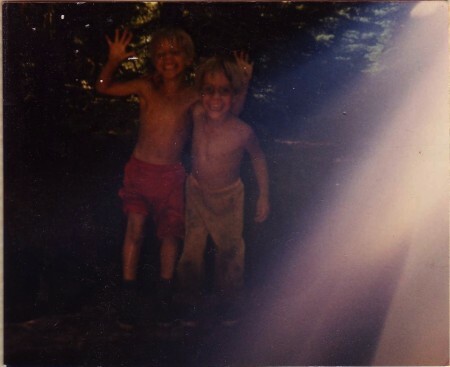 Finding the boots was the hardest. As I dressed the naked dolls, it reminded me of all those times from my childhood struggling to pull the clothes over their legs and arms. I’m much more dexterous now and dressing the dolls is easier. 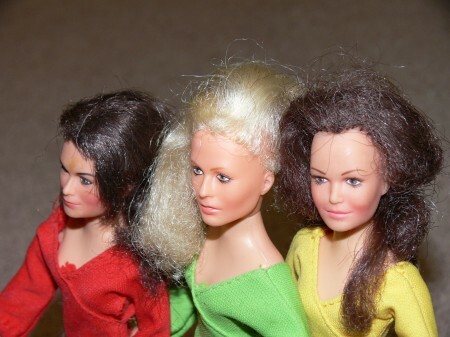 I wonder if playing with Barbies is why I was so good with fine motor skills as an adult. Considering all the little buttons, snaps and ties, I wouldn’t be surprised. 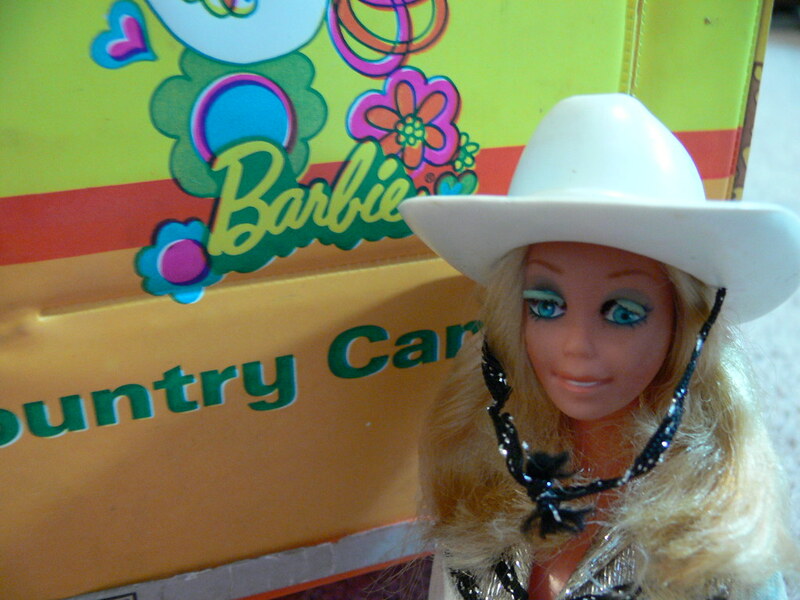 I couldn’t believe my luck when I found the complete outfit for Western Barbie. While I was looking for boots and outfits for the Charlie’s Angels Dolls, I found Western Barbie naked and perpetually winking at me. Her right eye used to wink when I would push a button on her back. Now, I have to physically open her eye to make her look normal. Within a minute or two, it slowly sinks back down. I found her cowboy hat first. I placed it on her head, but it looked strange to see her naked except for a cowboy hat. When I found her outfit, I laughed out loud and immediately dressed her. I found her boots last. 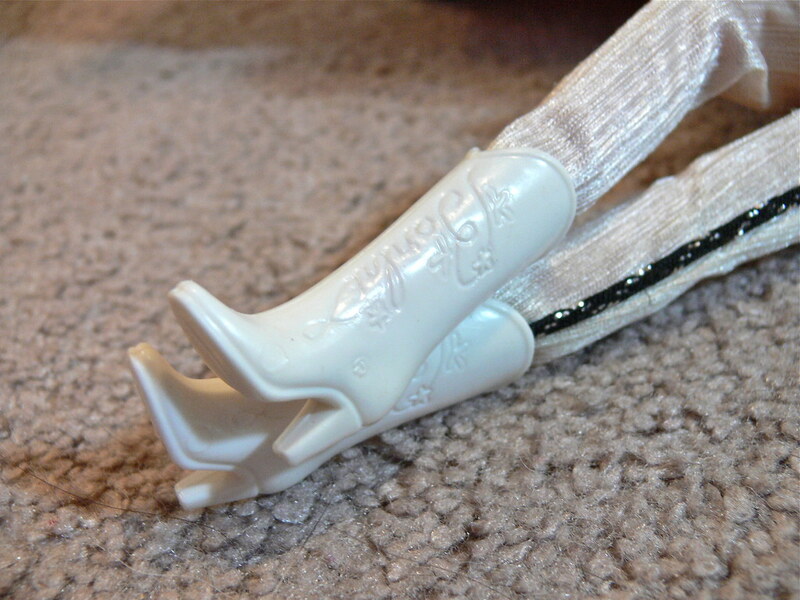 One boot was stashed in a bandaid box (made out of tin, remember those?) and the other was free floating with the clothing. I love how they have her name embossed on them. 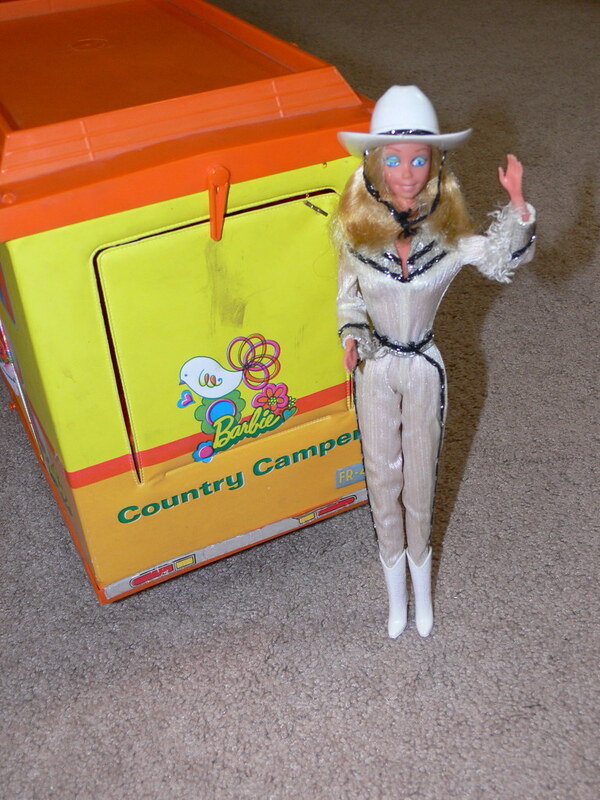 Western Barbie came out right around the time Barbara Mandrell and Dolly Parton were really popular. If I remember correctly, she didn’t come with a guitar or a microphone. She came with a bunch of photos of her and a tiny Barbie stamper so she could autograph pictures of herself. I remember playing with her and making her wink at all the other Barbies and Kens watching her perform. 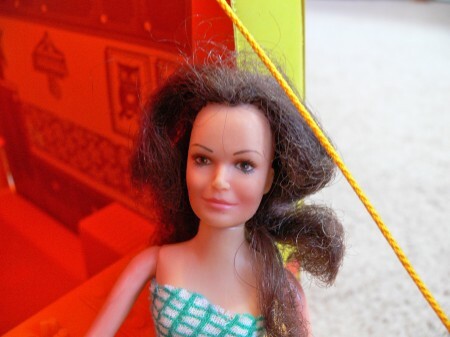 That same year, Stacey got Kissing Barbie. She came with lipstick and could kiss Ken or envelopes, leaving lip prints. 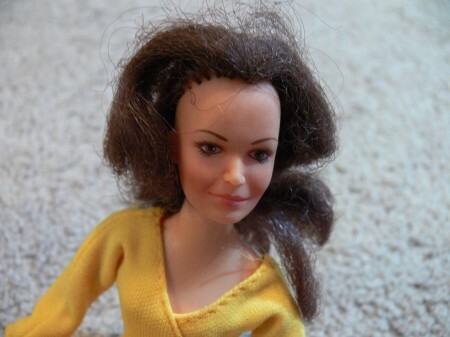 I wonder if Stacey’s doll still kisses. Poor Western Barbie lives in a perpetual wink. 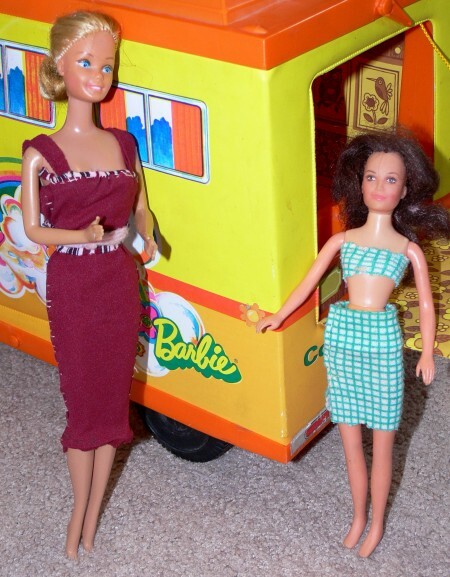 This wave of Barbie nostalgia was started with a visit to Thrift Town. 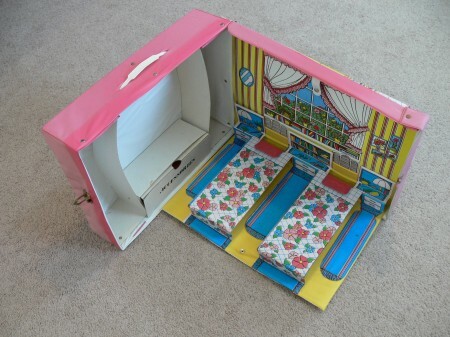 I was happily browsing when I found this Barbie Country Camper. 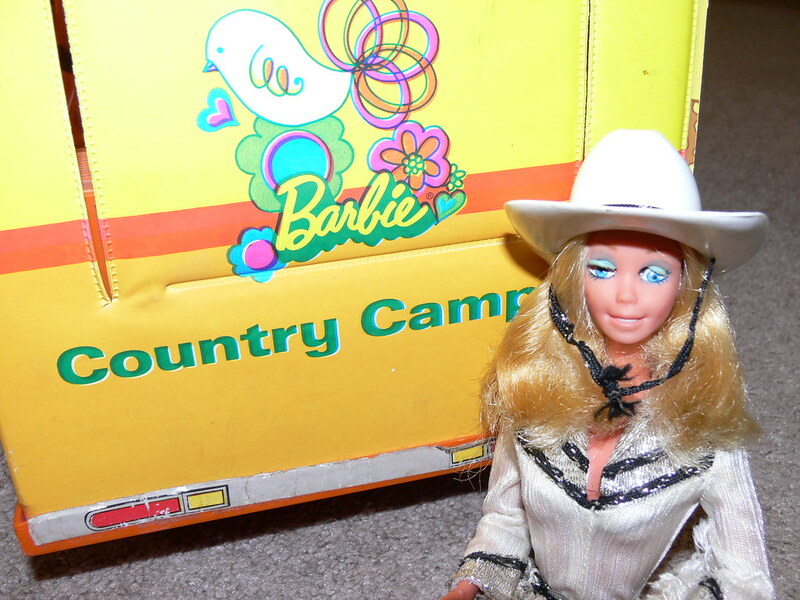 I owned a Barbie Star Traveler when I was a kid, but my friend, Kirstie Salamanikas, had a Barbie Country Camper just like this one. 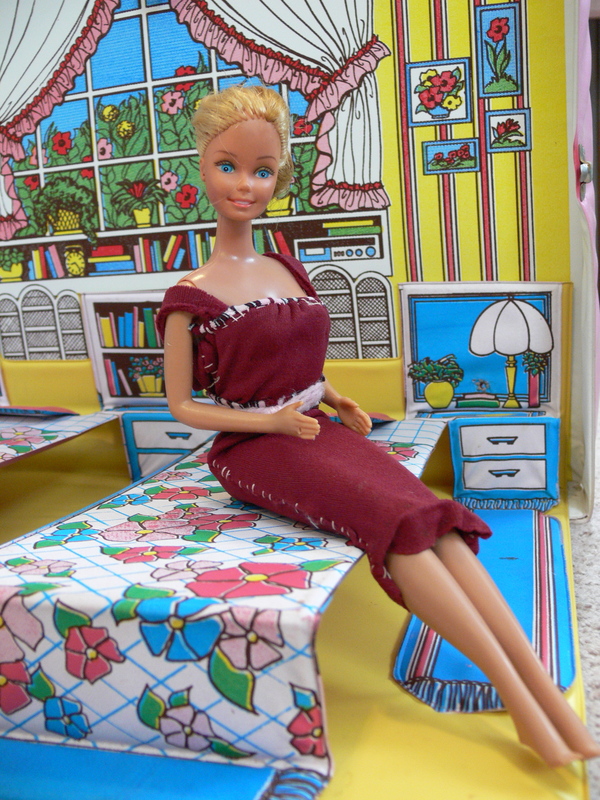 My Barbie is happy to rest here, don’t you think? 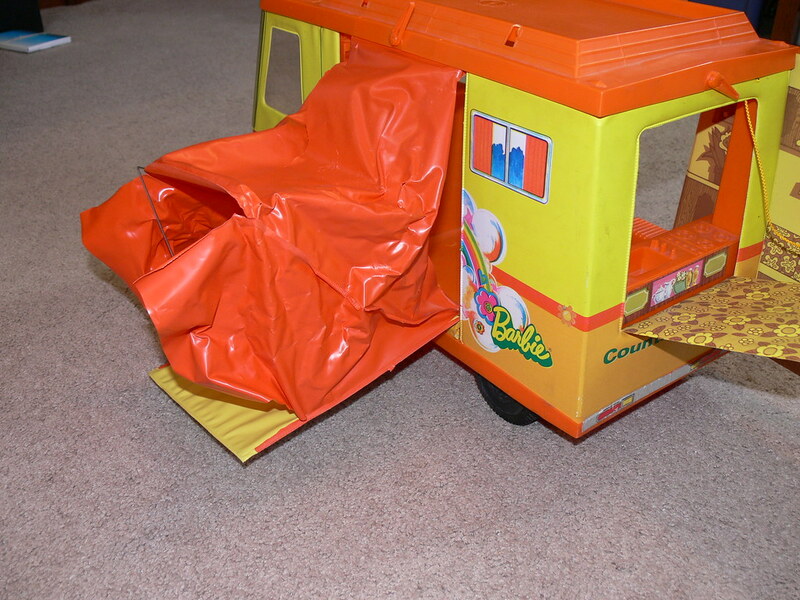 Kirstie’s camper didn’t have this awkward orange plastic thing on the side. It just opened up there. I suspect it had been removed after a fatal tear like this one has. I think it’s supposed to be a tent of some sort or maybe a sleeping area.